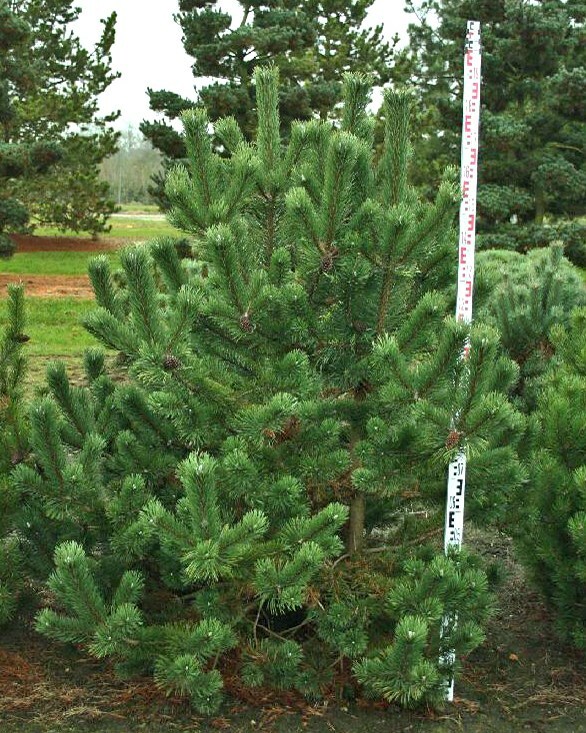 Pinus mugo in an attractive, small tree to about 8 m tall. It is broadly conical with branches that arch upwards with short, dark green needs. Mountain Pine prefers the sun and is not demanding on soil although it does prefer sandy-gravelly soil, it is wind resistant. This is a good tree for urban areas.